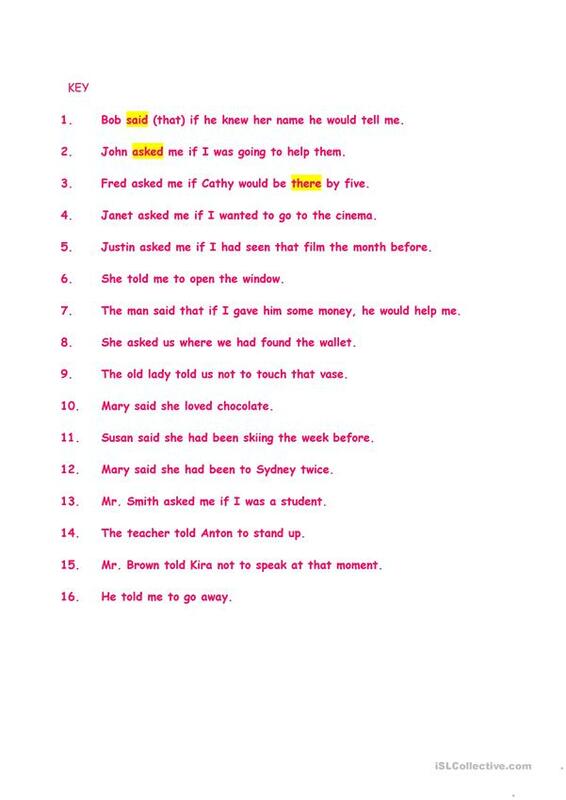 Another simple exercise transforming direct speech sentences into reported speech. This downloadable teaching material is best suited for business/professional students, high school students and adults at Pre-intermediate (A2) and Intermediate (B1) level. 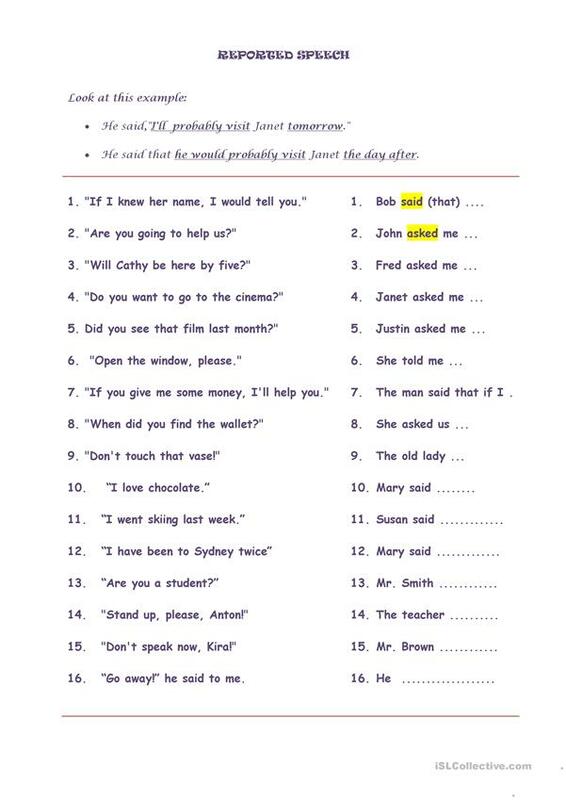 It is great for consolidating Reported Speech (Indirect speech) in English, and is excellent for improving your students' Reading and Writing skills. There is an answer key provided with the exercises.